Trade in Florence was more or less dominated by the Medici family. 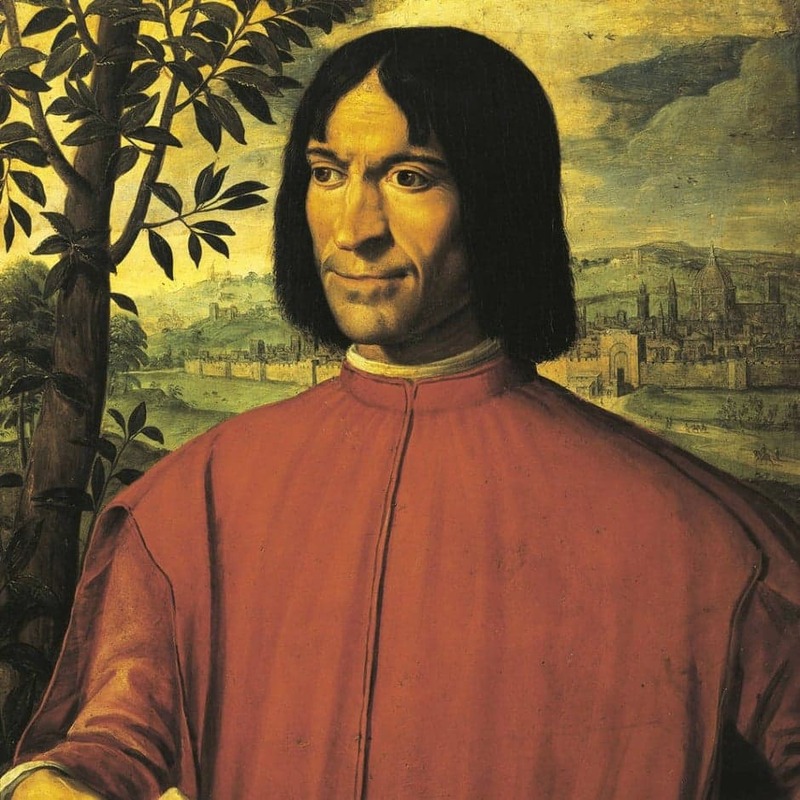 The Medici fortune was built by Giovanni di Bicci de Medici and his son Cosimo de Medici. Giovanni founded the Medici Bank and after he died his son Cosimo took control of the Bank. Cosimo took the Medici family’s financial power and with it, he built political power for the family. Cosimo took the Medici family from just another rich banking family to one of the wealthiest most powerful families in Europe. The Medici Bank was not actually one single bank but it often refers to the network of branches that the Medici family set-up. The Medici family had many branch banks including locations in Venice, Geneva, London, Avignon, and Bruges. The Medici banks very closely resembled modern banks. Many modern practices were also used by the Medici banks, such as loaning money to a merchant and charging interest. (Which was illegal at this time because the Pope saw any act of usury as a sin.) The Medici family also often dabbled in supporting merchant’s trade endeavors. This was a large part of why the Medici family became so successful. Merchant trade in commodities that the bank sponsored include wool, silk, and most notably alum. Alum was very important to the Medic because it was needed in the textile industry and the Medici had a near monopoly on its trade. Venice was another great international trade power during the Renaissance. Venice is a group of small islands in the northern Adriatic Sea. Because of its unique location, Venice was reliant upon maritime trade. Marco Polo was the most famous Venetian merchant. He established trade routes that connected Venice to all of Asia. Because of him, Venetian merchants had access to an extensive array of goods. Very few merchants could tout being able to trade porcelain, exotic dyes, and gems. Renaissance Italy had some of the most powerful, influential merchant families in history. These families’ trade practices influenced the growth of global economies and built a foundation for our current trade practices.